Today is such a rainy, gloomy day here in St. Louis, which is giving me the time to actually post! Today I'm being inspired by DIY projects, and all the fun things you can make with a little creativity and some things you have laying around the house. I find some of the best DIY projects from Pinterest, and some of the ones I post, I've actually done myself, others are more like future projects. hope that you try some of these fun things on your own! 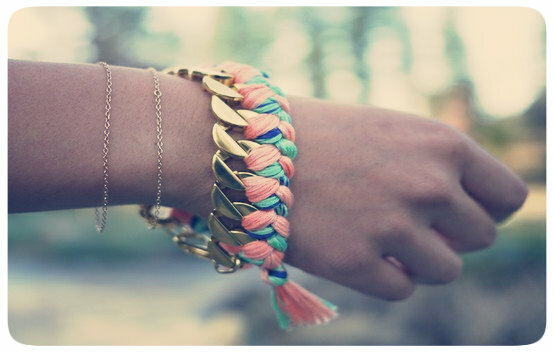 Woven Chain Bracelet!// This is one of the easiest projects that i have accomplished, and it turns out really cute! The materials are pretty cheap, but they look pretty classy! 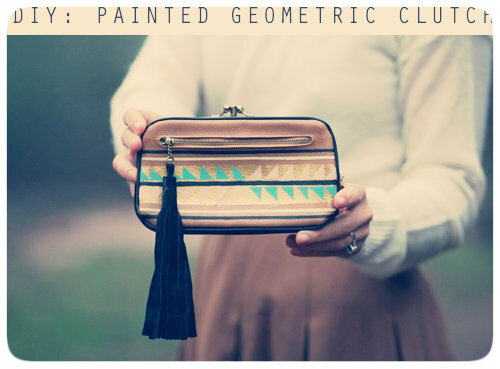 Painted Geometric Clutch!// I really want to try this tutorial with one of my boring vintage clutches. It is a pretty straight forward project, and the outcome is something new and cool. 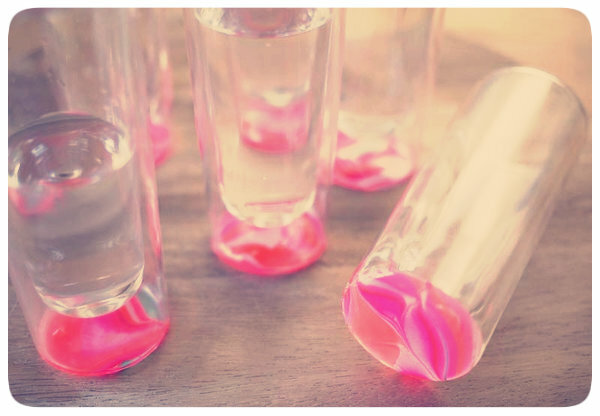 Marbled Glassware!// I have been on the lookout for the perfect tumblers to transform for this project! I love that you can customize the colors to fit your kitchen, and its something unique! I'm sure if I had these I would get tons of compliments on them, they are too cute! 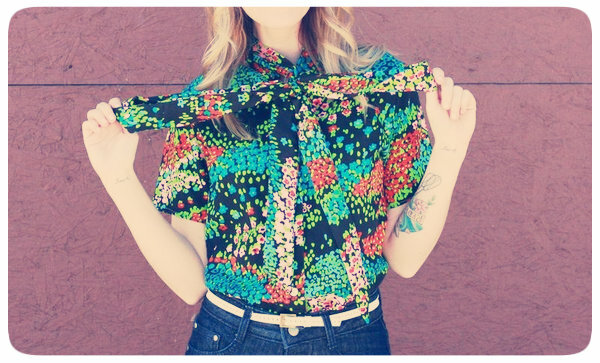 Ascot Top!// This is a super simple way to turn an unflattering vintage top into something super cute and stylish. 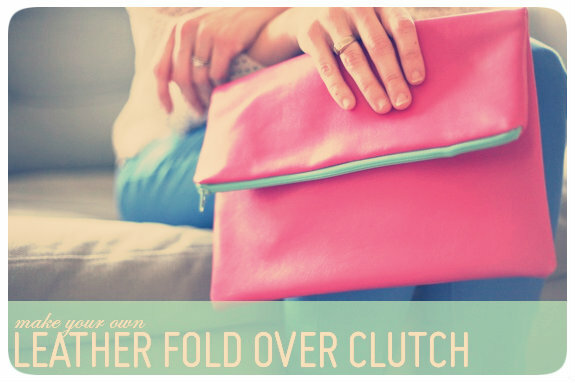 Leather Fold Over Clutch!// Such a fun way to add a pop of color to your wardrobe this spring and summer! Paint Swatch Chandelier!// This is a project that i have been in the middle of making for awhile, but just haven't gotten around to finishing yet. I'm excited to see what its going to look like in my daughters room. 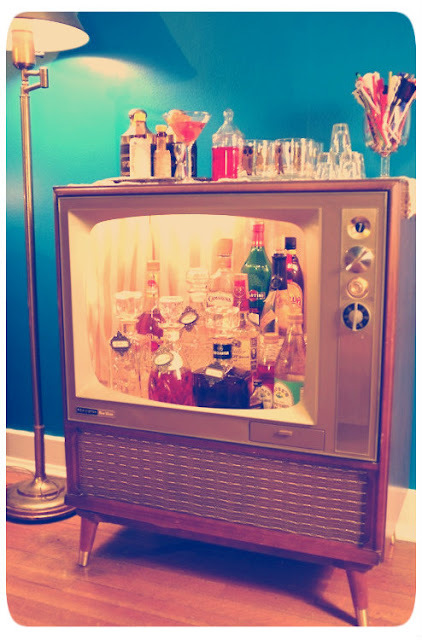 Retro Television Bar!//This is more something that I could see being an easy DIY. The link is to the tumblr it came from, and there are no instructions, but it seems like you would just remove the glass on the television, and finish it out. What are some of your favorite projects? 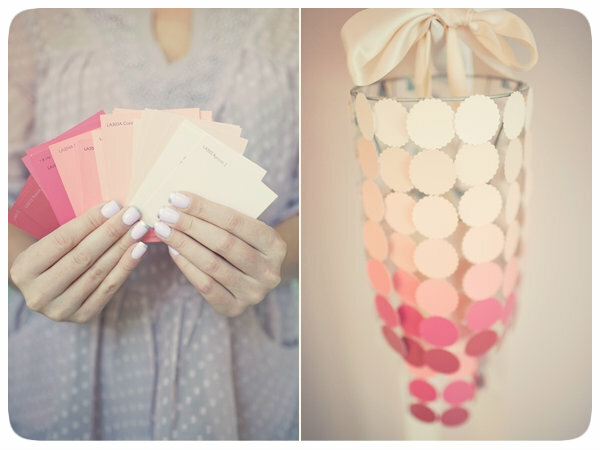 Where do you find creative ideas for household goods?